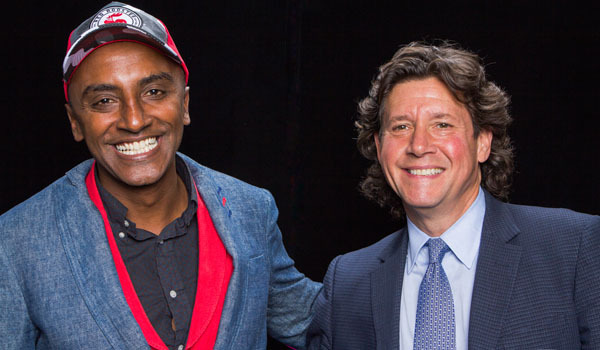 Chef Marcus Samuelsson and veteran event marketer Herb Karlitz launched the first Harlem EatUp!, a three-day food festival, with the support of President Bill Clinton and Mayor Bill de Blasio in 2015. This year’s festival attracted even more “foodies” than the previous years. Legendary jazz singer Billie Holiday got a tribute concert at the Apollo Theater to kick off Harlem EatUp! The festival booked The Alvin Ailey Dancers and ten acts including singers Rickie Lee Jones, Lizz Wright and Bettye LaVette who sang Billie’s hits. The Aetna Foundation donated tickets to elderly members of the Harlem community and worked with Citymeals on Wheels to deliver the tickets. The Chew’s Carla Hall, Top Chef’s Dale Talde and Jonathan Waxman were among the chefs who cooked on the festival’s main stage. The festival celebrated the food, culture and spirit of Harlem ‪and payed homage to its roots highlighting the distinct culinary experiences of the community. Karlitz & Company is a full-service lifestyle and entertainment marketing firm, which creates unique experiences to build customer loyalty for clients. “We do ski clinics with Lindsey Vonn and golf clinics with Hank Haney, who is Tiger Woods’s former coach,” Karlitz says. “In marketing-speak its r etention,” he explains. Karlitz recently produced a John Legend concert for a client, attended only by their best customers. Karlitz loves food and wine, and 75% of his company’s business is producing culinary events with celebrity chef friends, “I have found a way to make my passions and interests, which are food, wine and cooking, into my business.” His parents owned a restaurant and that’s where he developed a love for all things gastronomic. Karlitz feels that a chef becoming famous by appearing on television and commanding huge appearance fees is good for the culinary world. “They’re able to get people interested in cooking and not see it as going back to school, which is what I think Emeril paved the way for. In the past, there was Julia Child, but today there are many personalities thanks to the Food Network.” Said Karlitz.